Ergonomics in action: a practical guide for the workplace is a no-nonsense introduction to the principles of workplace ergonomics. The book is very user-friendly and written in a clear, jargon-free style, and gives straightforward explanations and practical examples. Useful summaries at the end of each chapter highlight key points at a glance. The book focuses on ergonomics in the design process, job design and work organisation. It covers specific areas of ergonomic importance; including hand tools, computer use and manual handling, and also addresses the complex and sometimes controversial topic of upper limb disorders. 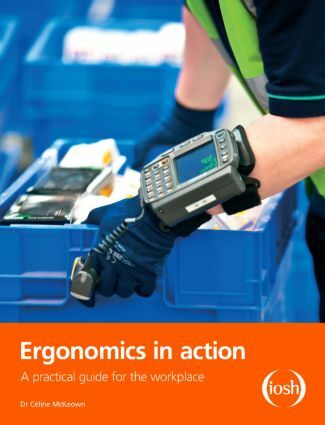 Ergonomics in action also includes a chapter on the basics of anthropometry and offers several practical case studies to illustrate the human and commercial benefits of following good ergonomic principles. As a consultant ergonomist, Celine McKeown has extensive experience of applying the principles of ergonomics to a wide variety of sectors. She also trains, advises and writes on a broad range of ergonomics and health and safety issues. Dr Céline McKeown is the senior consultant with and director of Link Ergonomics. She specialises in work-related injury, particularly upper limb disorders and manual handling injuries. She works in heavy and light industry and in commercial organisations. Although she offers advice on dealing with working conditions that are already functioning, she also works alongside designers, engineers and architects who are starting with a blank slate and assists them in generating workplaces that suit the people who are employed there. She also runs training courses for engineers and health and safety professionals on ergonomics, manual handling, upper limb disorders and disability. She is a regular writer and speaker on ergonomics in the workplace and is a reviewer of academic ergonomic textbooks. She also acts as an expert witness in cases of work-related injury throughout the UK and Ireland.